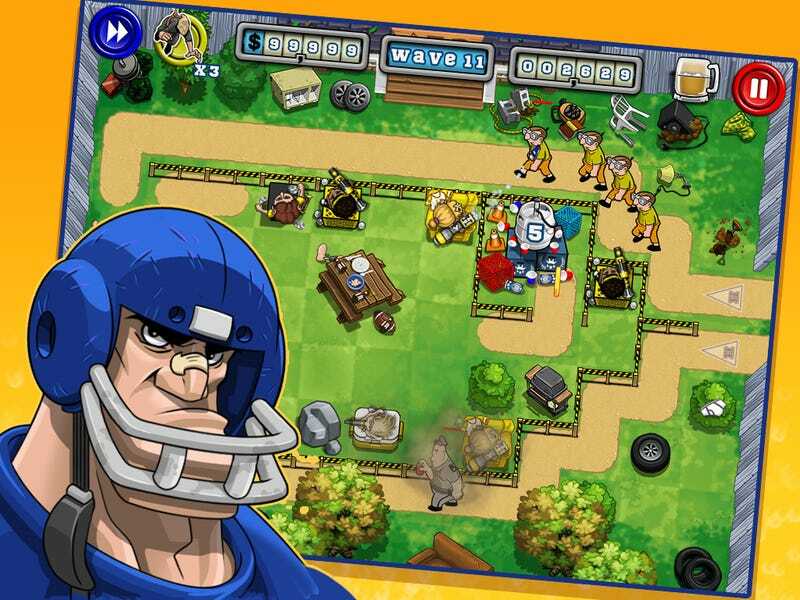 Why is There a Tower Defense Game Based on the Movie Old School? You know what we need? A tower defense game based on a 2003 Luke Wilson, Vince Vaughn, and Will Ferrell movie about 30-something men partying at college. Someone had that thought, and now we have an Android and iOS game. A game developed by Big Blue Bubble no less, the developer behind the wonderful My Singing Monsters and Burn the Rope. They make good games. Could this be a good game? Progressing through increasing levels of difficulty, each player is challenged to protect their frat house and beer from Party Crashers and the nefarious Dean by strategically placing pledges and generating resources. The official announcement makes it sound... interesting, but I'm not betting a dollar on a game based on a wacky comedy from ten years ago. If you want to, go ahead. It's on Google Play and iOS right now.